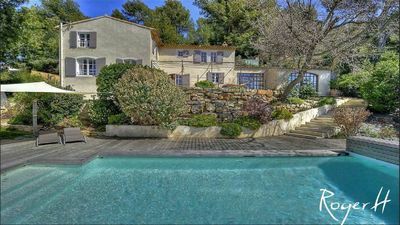 10-min away from the sea, «La Vista» is nested in the most beautiful area of Beausset, in a private and secure estate: «Les Hauts du Rouve», 3-km from the city centre of the town of Beausset. On a 1580-sq.m. 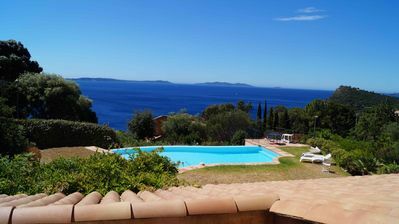 plot, «La Vista» is not overlooked by any neighbour, with an unobstructed 180 degrees view of the vines, the sea, the villages of La Cadière d’Azur and Le Castellet. 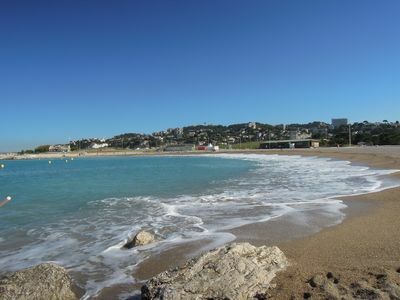 The beaches (St-Cyr-sur-Mer, Bandol or Sanary) are located 10-15-km by car. 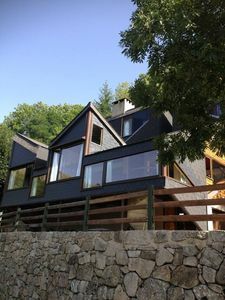 Inside, all the living rooms are bright and south-west facing, offering an exceptional view. 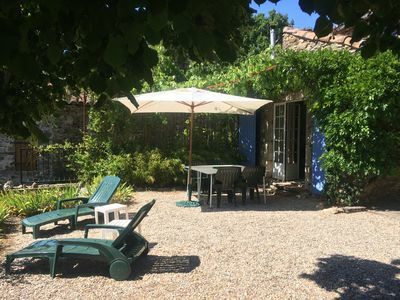 It combines the charm of the antique with its beams and doors, and the modern with its quality materials and equipment (oak hardwood floor, a new and fully equipped modern kitchen, upmarket new bedding, and much more). You will find 4 bedrooms, each one with bathroom. 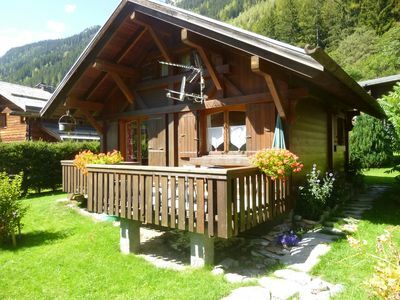 Sleeps 8-10 persons. Outside, a 8x4-m pool, with massage jets and a counter-current system just for you. The pool is secured by an electric curtain. A large terrace, shaded during summer under the pergola, will rapidly become a privileged place for your drinks and meals (until 12 people). 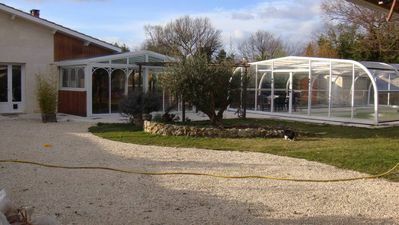 You will be able to enjoy daily the wonderful sunsets on the Provencal countryside. 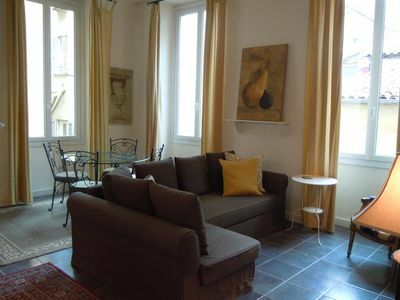 The villa «La Vista» is perfect for 8 people (maximum 10 people using the sofa-bed in the studio). 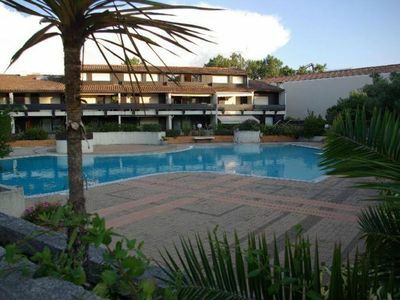 - 1 bedroom/studio with a double bed in mezzanine + 1 sofa-bed downstairs + small kitchen and a shower room. 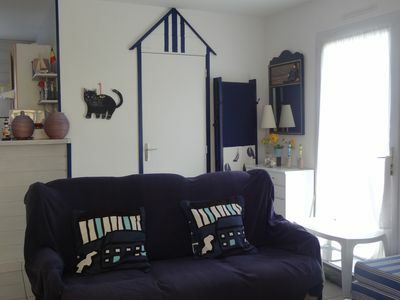 The studio is accessible via the indoor of the villa and can be privatised with an access possible only by the outdoor (perfect for au pair). 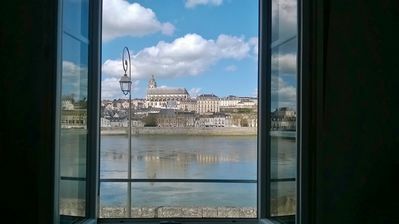 - Our rates are all inclusive: tourist tax, consumption of water and electricity (reasonable consumption), final cleaning (normal use), sheets and bed linen and wireless internet access. 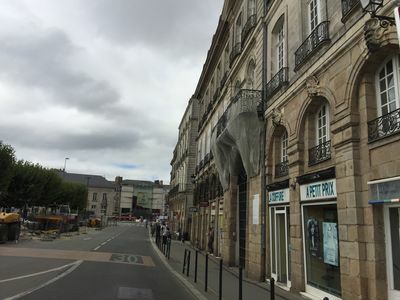 - We expect from our tenants, behave like a diligent administrator using the house and a commitment to respecting the property and its neighbourhood: a security deposit of €1500 will be asked before arrival. 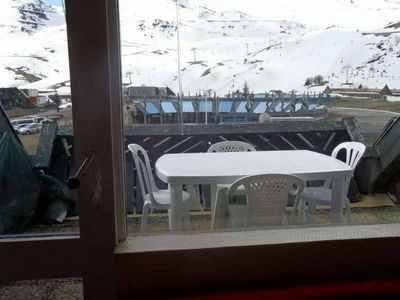 - Due to its hillside location (some steps and outdoor slopes), its access can be a little difficult for people with mobility impairments and/or young children: please do not hesitate to ask us things depending of your restrictions. - This is a no smoking villa (you can smoke outside using an ashtray). - A view of 180 degrees until the exceptional sea! - A very pleasant to live in house allowing to everyone to isolate yourself and offering the benefit of you cannot be seen by the neighbour. Its large shaded terrace can accommodate until 12 people to lunch. 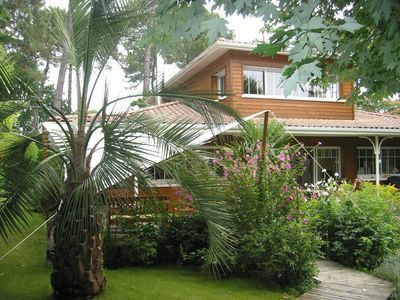 - Ideally located between sea and countryside, Le Beausset will delight you with its different hill, vines and pine wood landscapes. 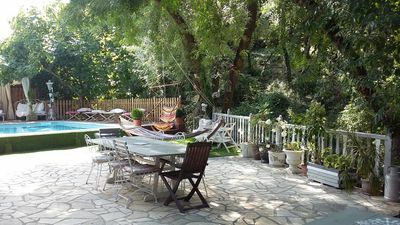 - A living room in a greenery and quiet setting, without to be overlooked, very close to the beaches (10-km) of St-Cyr-sur-Mer, Bandol or Sanary where all the nautical activities are available. 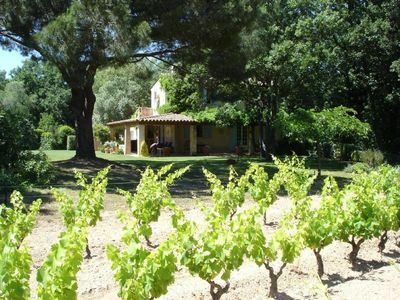 Le Beausset and its surrounding offer all the year events of cultural, gastronomic and wine-growing discoveries. 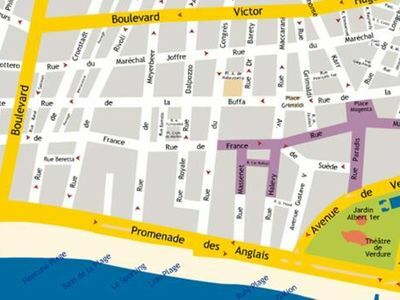 On the Bandol wine road, tourist junction between Sainte-Baume range and the coastline, Le Beausset combines the charms of the hinterland to those of the coast. 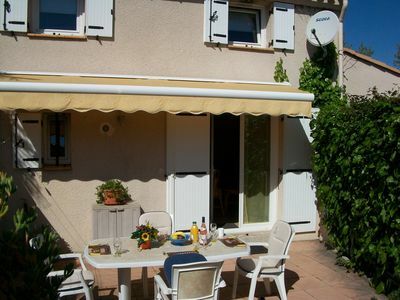 Close to Le Castellet race track as well as the beaches of Sanary-sur-Mer, Bandol and Saint-Cyr-les-Lecques, this land of Le Beausset offers a rich range of landscapes. Off the beaten track, the people of Le Beausset invite you to discover an authentic land of the Var, generous and rich of traditions. It is a privilege, a celebration of every moments of welcoming you during the 4 seasons in our land of the Var and share with you the Mediterranean art of living. -> Benoit is in charge of inform you ahead and manage the schedule of the bookings. Please do not hesitate to contact us for more information! 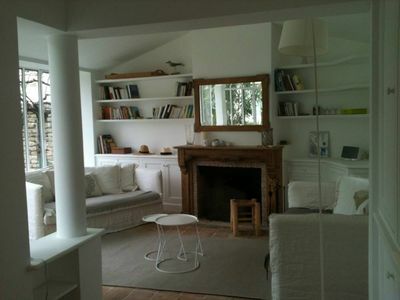 Charming, luxurious house in Cotignac for 10 p., 5 bedrooms, 3 bathrooms, pool.